As has been chronicled over the past several years, Illinois state and local governments have continually been faced with tremendous financial strain. Recovery from the 2008 financial crises, often referred to as “the Great Recession,” has been slow in coming or seemingly non-existent. As a result, financial strain has been placed at the forefront of collective bargaining negotiations, as Illinois employers have taken the position that wage freezes or below cost-of-living increases are necessary in the current economic climate while unions, on the other hand, have claimed that employers have a sound, stable financial condition sufficient to support multi-year wage increases. Indeed, Arbitrator’s have recognized the current economic climate and have not discounted employer’s positions regarding its financial difficulties. While arbitrators are sympathetic to these genuine concerns, however, recent awards show that arbitrators have not endorsed employer claims of inability to pay. Nor have arbitrators been ready to accept innovative arguments from employers, particularly arguments that retroactive pay is prohibited by state statute and a recent Illinois Supreme Court decision. In a recent interest arbitration award, County of Kankakee/Kankakee County Sheriff and Illinois FOP Labor Council Lieutenants Unit 150-C, ILRB No. S-MA-15-125 (Arb. Morgan 2017), unique and innovative arguments raised by the employer were rejected, resulting in the arbitrator adopting the Union’s final offer because it complied with the applicable factors prescribed in Section 14(h) of the Act. First, Arbitrator Morgan reasoned that if the County was correct, public employers would never have to give retroactive pay, especially given that contracts are seldom resolved within the first year of expiration, particularly those resolved through interest arbitration. Second, Arbitrator Morgan stated that in over thirty years of Illinois interest arbitration awards there is not a single case to support the assertion that retroactive pay is barred unless there is an appropriations bill. Third, Arbitrator Morgan further explained that Section 15 provides that the Illinois Public Labor Relations Act, “or any collective bargaining agreement negotiated thereunder shall prevail and control” in the event of conflict with any other law or executive order regarding wages. Thus, the provisions of the Illinois Public Labor Relations Act preempt the statutes relied upon by the County. …If a new fiscal year has commenced either since the initiation of arbitration procedures under this Act or since any mutually agreed extension of the statutorily required period of mediation under this Act by the parties to the labor dispute causing a delay in the initiation of arbitration, the foregoing limitations shall be inapplicable, and such awarded increases may be retroactive to the commencement of the fiscal year, any other statute or charter provisions to the contrary notwithstanding. 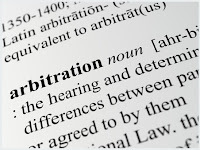 At any time the parties, by stipulation may amend or modify an award of arbitration. Fifth, Arbitrator Morgan distinguished the interest arbitration from State v. AFSCME. In State v. AFSCME, the dispute arose from an arbitrator’s award to enforce granting a wage increase in a collective bargaining agreement between AFSCME and the State of Illinois. The appropriation authority at issue in State v. AFSCME was that of the General Assembly and not a county as was the case in the interest arbitration. 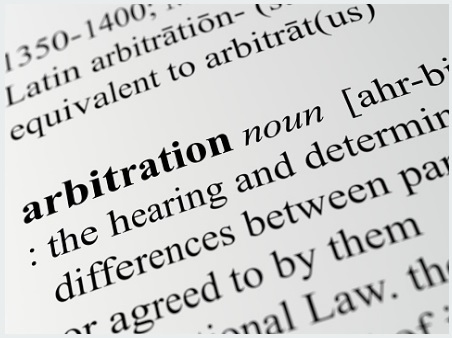 We will keep you apprised of interest arbitration developments as they become available. As always, please contact us with any questions you may have about this development.